Muskerry News | Will you walk for Waterloo? Will you walk for Waterloo? 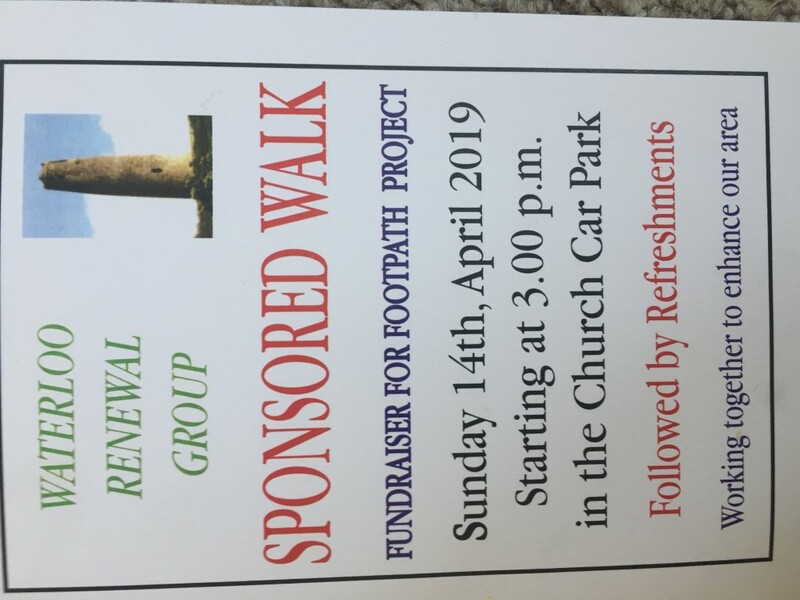 Waterloo Renewal Group is looking for your support on Sunday April 14th at their inaugural walk on the recently completed footpath which has formed two safe looped walkways leading to Waterloo and back to Blarney for all to enjoy. Funds raised will go towards the outstanding cost of the project and your support will be much appreciated. The walk will start from the church car park at 3pm on Sunday April 14th, followed by refreshments. All welcome!